Therapeutic oils have been used for thousands of years. Today these oils are often summarized as aroma therapy. However, many oils and blends have been created to treat specific ailments, reaching from insomnia to skin infections. Therapeutic oils are highly concentrated and should be used with extreme care. Just because they are natural, doesn't mean they cannot do harm. Just the opposite. Because they are highly potent and often undiluted, they may be too strong and many oils require dilution with a carrier oil. Carrier oils may include almond oil and cold-pressed olive oil. If in doubt, always choose organic oils over conventional ones. Lisa has been incorporating essential therapeutic oils into her massages for more than a decade and many of her clients rave about the great benefits they experience during and after massage. If you want to explore the oils, Lisa uses, you can visit Young Living Oils to browse the wide offerings and order supplies. You may consider adding the nine-oil Everyday Oils kit to your home medicine cabinet. Use sponsor/enroller number 40764 when ordering and call Lisa with questions. Always read about the oils you want to apply and make sure they are suitable for the intended use. Before ordering, read how therapeutic oils help many ailments. Be sure to review other resources and confirm that these oils are right for you. Immunotec is a company dedicated to the development of health promoting remedies. Lisa has been using these products herself for many years and along with her clients has experienced extraordinary results. In our busy, complicated and competitive world, it's easy to forget what truly matters, but nothing is more important than health and wellbeing. 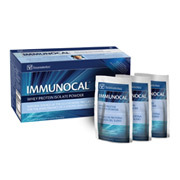 If you are interested in learning more about Immunotec and how its flagship product Immunocal benefits health, please take a look at their website. You may order products directly from them.